Another truth is that I fall into the latter category. Long story, won't bore you. Suffice it to say that without the old pluck-and-create, my brows are the definition of no bueno. Because I create (or draw on) my eyebrows I am forever researching and trying new products to help me achieve my goal of good brows. How do I define "Good Brows?" Brows that are shaped to flatter the individual's features, are well groomed and while not a perfect match, look as if they belong on the same face. There are a lot of products that can help me reach these #browgoals and I'm going to share one, well a kit, actually with you, today. I was recently offered the opportunity to test drive and share brow products by new-to-me Chella, a skin care and cosmetics company based in California. The product I received is the Tantalizing Taupe Eyebrow Color Kit. Comprised of a brow colour pencil, a brow setting gel, a highlight pencil and a sharpener perfectly tailored to the highlight pencil, this kit is available in six shades from blonde to auburn to ebony so just about everyone should be able to find their perfect match. I chose Tantalizing Taupe. Through trial and error, I have learned that a cool, somewhat ashy taupe is my perfect brow product shade. Sometimes I like to supplement with a deeper shade for additional dimension but for day to day brow biz, taupe is my best friend. Shall we have a look at what is included in the kit, some swatches and the products in action? First we have the Tantalizing Taupe Eyebrow Color Pencil. This elegant European mechanical brow pencil has a very fine point and a creamy, clingy formula. In my experience, it can tend to leave behind a few teeny-tiny blobs here and there but a quick brush with my spoolie smooths them right away. Smudge and smear resistant, if I apply this to clean skin prepped with a good eye shadow primer, this pencil hangs in there all day for me. After I create my brows with the Eyebrow Color Pencil I set them with the Eyebrow Defining Gel. 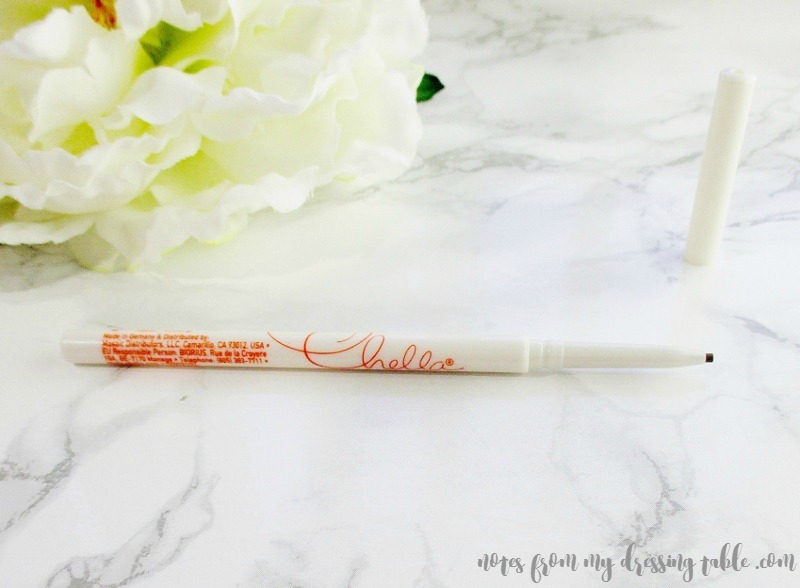 Smooth and easy to work with, this gel wrangles what brow hairs I do have right into position and sets them without looking or feeling stiff, flaky or fake-a-loo. To highlight the brow bone or to help chisel out really "done" brows we have the Latte Highlighter Pencil. This creamy smooth jumbo pencil applies and blends into the skin easily with a synthetic brush or finger. This product wears all day long without fading away, cracking or looking funky. Sadly, Latte is not the right shade for my complexion. It comes off as too dark, warm and peachy on my skin. I think that I would have been much better off with Ivory Lace. Lookie! Swatches! Here we have the Tantalizing Tape Eyebrow Color Pencil and the Latte Highlighter Pencil. Tantalizing Taupe looks a little warmer in my swatch then it goes on on my face. 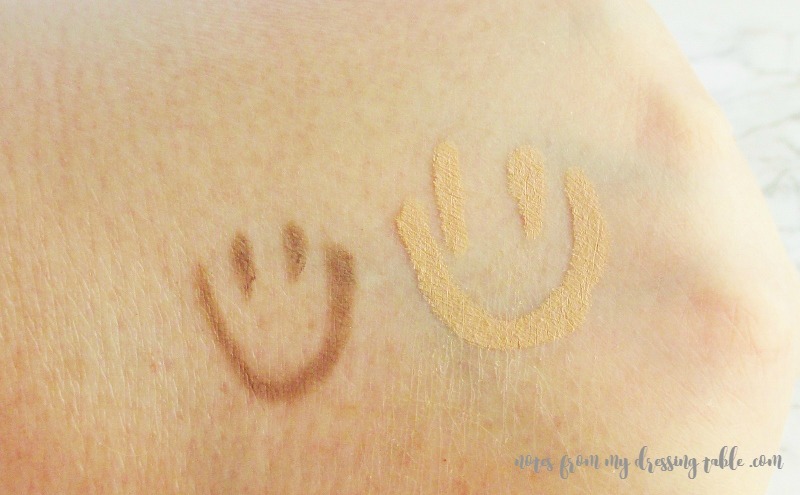 The Latte Highlighter Pencil would be perfect for warmer light to light-medium skin tones. Damn... My hand looked dry in that shot. The Chella Tantalizing Taupe Eyebrow Color Kit in action on my face. I went over the Latte Highlighter Pencil with a little Colour Pop Spoon highlighter to blend it in a little better with my skin tone. 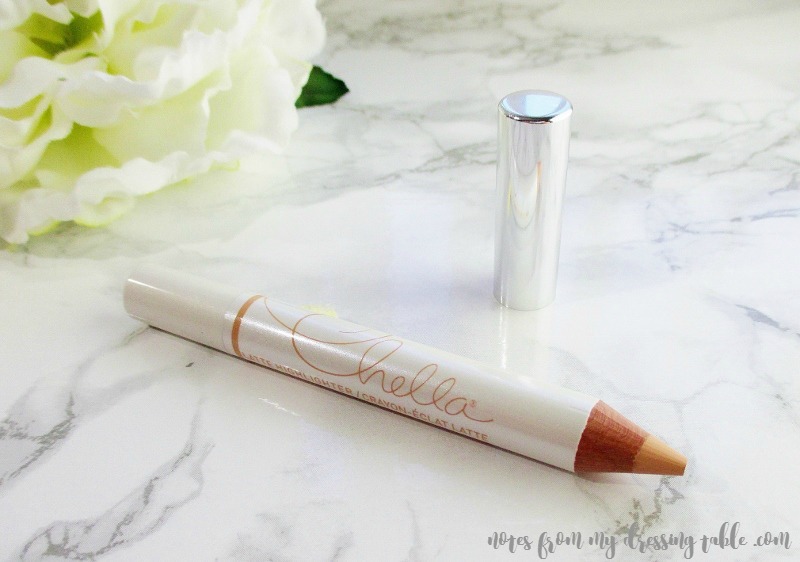 So, gentle reader what do you think of the Chella Tantalizing Taupe Eyebrow Color Kit? I have to say, I like it! 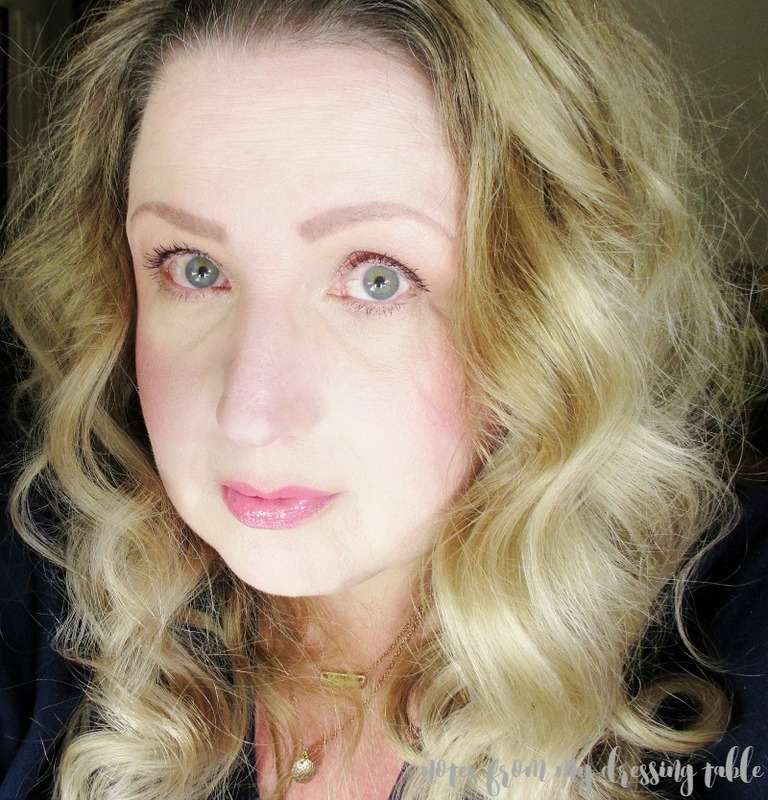 I could wish that I had lucked into the Ivory Lace pencil, rather than Latte but I'm very happy with how these products apply and perform and I recommend that you give them a whirl. The kit retails for $37.80. I know, a tad spendy but - here comes Beauty Blogger Math - if you bought all four components in the kit separately, you would be on the hook for $59.00. By picking up the kit you save $21.20. That is like getting one full sized product and half the sharpener for free. Yeah! 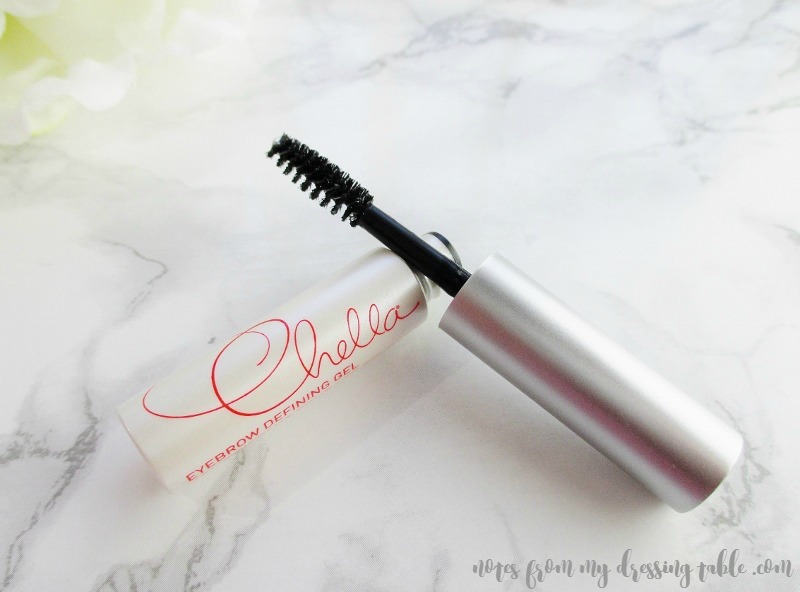 If you would like to try any of the Chella Brow Collection Products you can find them on the Chella website and at spas, salons and resorts around the world as well as Saks Fifth Avenue, Bloomingdale's and Neiman Marcus. Connect to Chella on social media via Facebook, Twitter and Instagram. Chella products are cruelty free.